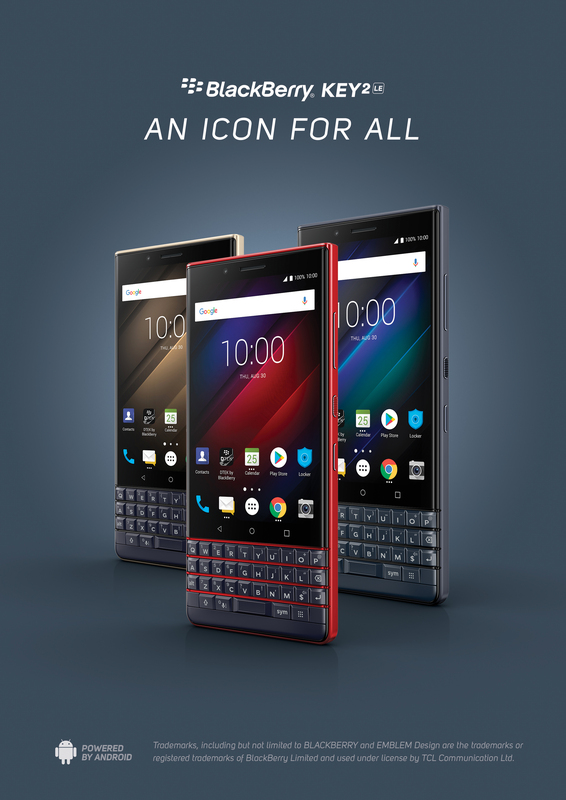 BlackBerry Mobile licensing partner TCL Communication revealed a new version of its BlackBerry Key2 smartphone that’s more colourful and less expensive, but with some performance sacrifices. Dubbed the BlackBerry Key2 LE, the just-announced device will be available in Canada in September, starting at $519 for 32 GB of storage and $599 for the 64 GB of storage version. There are some minor differences in the internal hardware that allows this device to be about $300 less expensive than the Key2. The specs are worse in several ways. The Snapdragon 636 processor is slightly slower, maxing out at 1.8 GHz as opposed to the 2.2 GHz in the Snapdragon 660. It also has a slightly scaled-back GPU. There’s also less RAM in the Key2 LE, and it comes with a smaller battery. The rear cameras aren’t as high quality as a whole. It’s possible TCL was responding to criticism that the Key2 was more expensive than the Key One. By tweaking a few specs and releasing the Key2 as a new model, it’s offering those that want the upgraded device at the lower price point. Here’s our first look video for the BlackBerry Key2 from June. Watch next week for our six-week review of this smartphone.